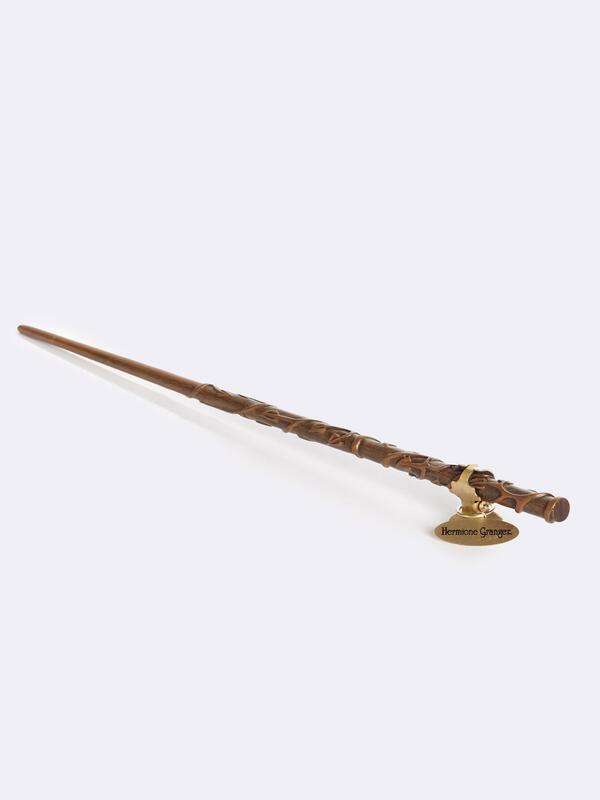 A replica of Hermione's wand. Imitation wood with textured motifs. Comes in a collector box with presentation stand and name tag. Length 38cm approx.